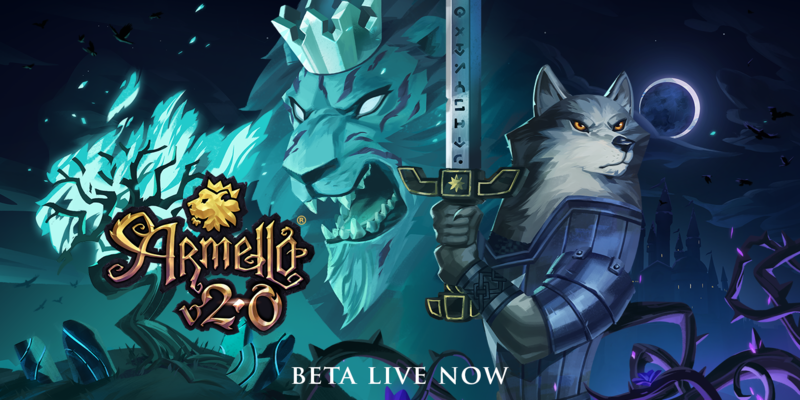 Armello :: v2.0 Beta is LIVE! It’s all happening today, clearly. The Steam v2.0 beta is now live, and this post will contain all of the details you so require to get in there. Fear not, it’s a pretty painless process. Please remember that this is a beta. Things will break and it may be a little shonky and more than anything we really want your bug reports through this process, so we can go on a bug-killing-spree and hopefully bathe in the serene seas of stability. In order to gain access, right click Armello in your Steam Library. Please note that when you initiate this process, your save games may be lost and you will re-download the client. Changing back will once again, redownload the live version of Armello. The best way to report a bug is with the in-game bugsender tool in the pause menu! This provides us with detailed logs relevant to the session, with details on your computer's specs and what occurred behind the scenes during the error. Include a detailed description of what occurred! What were the last 3-5 actions that happened before this bug? Send an email through to qa[at]leagueofgeeks.com with a detailed description of the issue and manually attach the relevant logs for the session. Any questions, fire away and may the dice roll in your favour. Will 2.0 be free for everyone or a separate DLC? You asked about random loadouts. Just choose the question mark icon for each selection you want to be random. @Thunders There's a step missing in the instructions. There'll be a 'Betas' tab on the Properties page. Well, is it just me or what? I can't find the “BETAS” tab though. On the plus side (big plus!!) I LOVE how in the questing it now flips everything over and you click on one of the things. I don't know why I love this so much, but I think it's a great little mechanic! Other than this, I didn't actually notice all that much difference in the gameplay... (I've only played one singleplayer game so far). I will continue playing. Being unable to make custom rules takes the fun out of this game for me. Gather party is an awkward and buggy mess. Inviting friends is buggy for the recipient. The gather party screen doesn't allow you to ready up, which shouldn't be displayed if it's not even available. It's very confusing to determine that you need to leave this screen then go over to the multiplayer lobby... which means going to a second redundant lobby because the real lobby doesn't work for the purpose it's designed for? Overall I hate it. I don't know if custom rules aren't implemented in the beta, or it's a symptom of 2.0. It is necessary to be included. Clan grounds is a neat concept. I like getting to make loadouts, but I think only having one is missing the point. There are characters that can be played in numerous ways, and in many ways in reaction to the other player setups. Sure it does the minimum of speeding up picking for people that only play one way, but I wouldn't really call that a loadout - more of a time save.